Z-Wave technology actually originated in Copenhagen, Denmark in 1999 and was adopted in the US in 2001. In 2005, a group of manufacturers got together to form the Z-Wave Alliance, in which their mantra is “interoperability”. What that means is that regardless of the manufacturer, brand, product, year the product was created, or version of Z-Wave software, all Z-Wave products will communicate with each other. 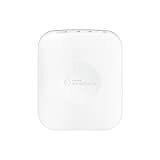 Z-Wave – The pros of this device include the following: interoperability, no wifi interference, and great range. The cons include starting over when moving to another country, and pricey. 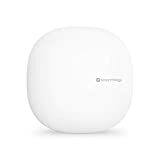 Zigbee – the pros of this device include interoperability with other Zigbee products, more affordable than others, has a great range, and has a large scale. The cons are wifi interference and some interoperability too. Bluetooth Low Energy (BLE) – the pros of BLF include power consumption, price, and centralized HUB and interoperability. The cons include short range, price, and small scale. WiFi – the pros are affordable price and large scale. The con is being power hungry. To assist in your home automation needs, Protect America is the way to go. This company is the country’s home security company that began in 1992. Being on of the largest residential home security company in the US, Protect America always strive to protect homes and families through monitored home security. Protect America is a direct-to-consumer business, sending families their home security systems. Protect America has different types of home automation products in which are of superb quality. They have the right kind of home automation system for any household. 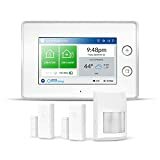 Their home automation product includes August Lock, Z-wave module, Linear Garage Door Controller, and the Amazon Echo Dot Integration & the Protect America App. With the August Lock, you can monitor and control your door locks from anywhere. You will have keyless entry access, you can monitor activity at your doorstep, and much more. The Linear Garage Door Controller allows you to use your security panel or mobile device to close and open your sectional garage doors. With the Z-wave module, you will have wireless control of the off and on button, and you can use your mobile device or browser for the dim functions. And lastly, the Amazon Echo Dot Integration & the Protect America App allow for video recording, life preservation through smart automation, smoke protection, fire protection, and much more. Interested in monitored home security? Get a free quote from Protect America today. With them, you and your loved ones will be in good hands.